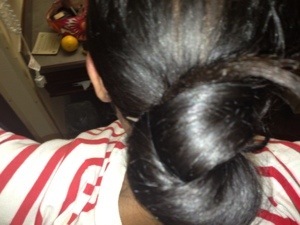 Bun | hair, there and everywhere! I wanted to share this bun that I did when I was in Bend a few weeks ago! 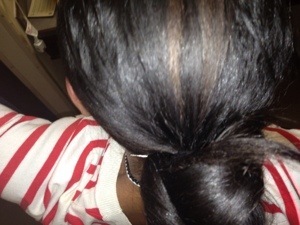 It reminded me of the bun featured in the Science of Black Hair, which was a ponytail with the hair wound around it. It was so full and this past summer, I wondered when my hair would do that … Well I guess the answer is now! !